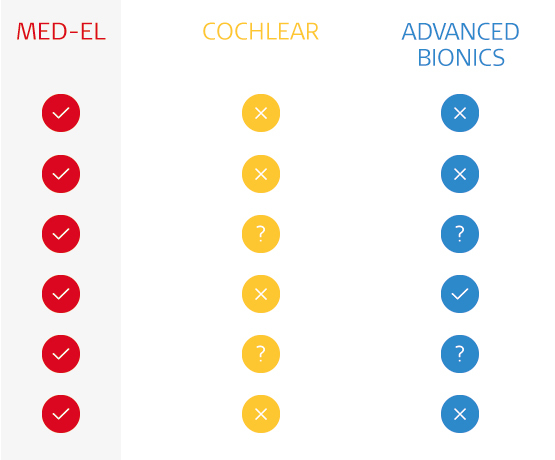 Find out what makes MED-EL cochlear implants the most reliable and trusted choice. When you choose a cochlear implant, you want to know that it is the right decision. You want the peace of mind knowing that your implant will last for many years. 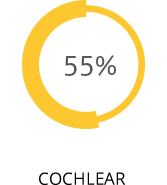 We are committed to providing you and your family the most reliable cochlear implants. Every MED-EL cochlear implant is made to provide outstanding long-term safety and reliability. With implant reliability, it can be hard to understand what all the technical information means. 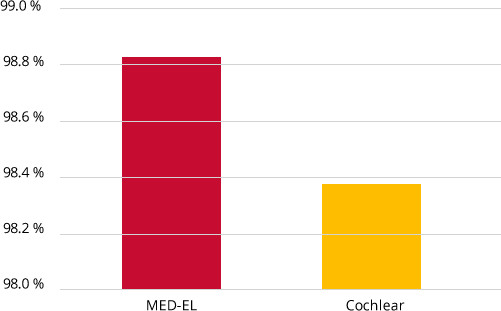 You might have seen graphs comparing reliability between different cochlear implant brands. Other companies often cherry-pick a favorable statistic that does not show the whole picture. At MED-EL, we do not believe that is an honest, transparent way to communicate. You are making a once-in-a-lifetime decision and you deserve accurate information. We introduced our first titanium implant design in 2006. If you look at reliability data of all cochlear implants from each company over more than 10 years, the difference is clear. Other manufacturers may disguise the replacement of a partial failure as an “upgrade”. We do not believe that is fair or honest to you. If one of our implants has to be removed or replaced for any reason, we count that against our reliability. You will find it reported below under “Extended CSR data”. This comprehensive reporting is the fair and honest information that you deserve. 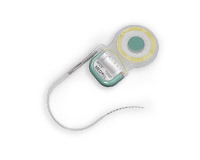 SYNCHRONY, our latest cochlear implant, has a 100% technical reliability rate after 3 years. For more than 25 years, we have proudly made all MED-EL cochlear implants right here at our headquarters in Innsbruck, Austria. We use state-of-the-art manufacturing facilities, cutting-edge processes, superior components, and exceptional quality control. This ensures every MED-EL cochlear implant can meet the highest standards of quality and reliability. We believe this focused oversight and expert craftsmanship is essential for quality. 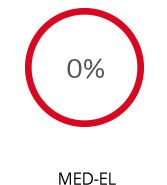 That is why, unlike other companies, MED-EL does not outsource its implant manufacturing overseas. Our cochlear implants are made for a lifetime of hearing—which means we are thinking about where you will be 5, 10, and 20 years from now. Looking to the future, we know everyone will likely need to have MRI scans, because MRI scans are becoming more and more common. With our SYNCHRONY Cochlear Implant, there is no surgery, no discomfort, and no hearing downtime. With MED-EL, you will have peace of mind knowing you are ready for anything life brings. 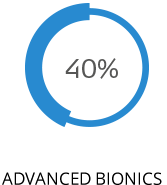 Our audio processors are designed to be exceptionally reliable. The average monthly service rate shows that less than 1% of our audio processors are sent to us with issues that require service.6 You will not find this kind of exceptional data from other companies. Why is that so important? A reliable audio processor means reliable hearing in everyday life—saving you time, money, and hassle. You will be taking your audio processor everywhere you go, so make sure it is one you can rely on. 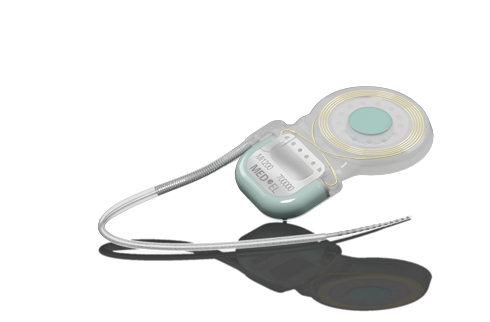 From the very beginning through today, MED-EL has been guided by our founders, the inventors of the modern micro-electronic multichannel cochlear implant. Our mission is to overcoming hearing loss as a barrier to communication and quality of life. To us, reliability is not a percentage on an earnings report for investors. Every recipient is a person, not a number. When you choose MED-EL, we understand you are putting your trust in our hands, so we make sure we are always there for you. 1. The combined failure rate was calculated for Advanced Bionics and Cochlear by estimating the number of failed devices from their publicly accessible reliability reports (Advanced Bionics 2017 Global Implant Reliability Report; Cochlear Nucleus Implant Reliability Report, Volume 15 / January 2017) and comparing those to the total number of registered implants; in the case of Cochlear, the Nucleus CI24RE, Nucleus CI500 series and the Nucleus Profile series implants were included in the calculations, covering the time period of 2005 to 2017; for Advanced Bionics, the calculations are based on the HiRes 90K, HiRes 90K Advantage and HiRes Ultra cochlear implants, covering the time period of 2004 to 2017. Please note, that Advanced Bionics and Cochlear only report a self-selected sub-category of failures, so the numbers presented may underestimate the total failure rates for Advanced Bionics HiRes implants and Cochlear Nucleus implants. The combined rate for MED-EL implants was calculated using the information on device-related failures from the MED-EL complaint database for the SONATA, CONCERTO and SYNCHRONY implants, covering a time-frame of 11 years (2006–July 2017); this database is used as a tool for monitoring of all products that are put on the market, and its validity is regularly inspected by authorities, such as the FDA. These figures represent the percentage of recipients in the study who experienced discomfort, pain, or other complications during 1.5 T MRI (two 3.0 T scans were excluded from the figure). Kim et al. (2015) is a retrospective study looking at 1.5 T and 3.0 T MRI scans performed on CI recipients between 2003 and 2014. The study included 18 individuals; 5 recipients had Advanced Bionics devices, 11 had Cochlear devices, and 3 had MED-EL implants. Advanced Bionics recipients had 9 total 1.5 T scans; Cochlear recipients had 12 total 1.5 T scans and 2 total 3.0 T scans; and MED-EL recipients had 8 total 1.5 T scans. 4. Todt, I. Tittel, A., Ernst, A., Mittmann, P., & Mutze, S. (2017) Pain Free 3 T MRI scans in cochlear implantees. Otology & Neurotology, Epub ahead of print. 5. Recipients with a SYNCHRONY Cochlear Implant may be safely MRI scanned at 0.2, 1.0, 1.5, and 3.0 Tesla following the conditions detailed in the instructions for use. 6. Audio processor reliability rate is shown as the inverse of monthly service rate.